1882-S MS66+ Plus Morgan Silver Dollar $1, ICG Graded, Rainbow Rim Toned! $180 VALUE! 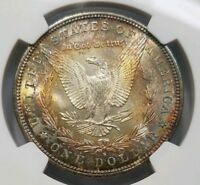 1882-P Morgan Silver Dollar, NGC MS-64+!